New for 2018 is our Ice Creamery. It has always been an ambition of ours to eventually make and sell our own dairy products from our prized herd of Holstein Cows. 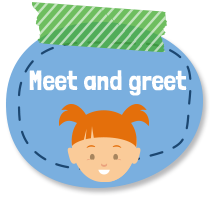 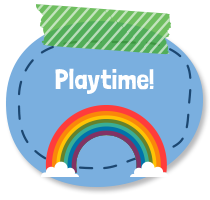 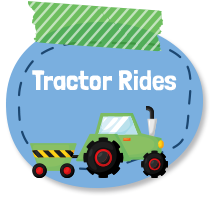 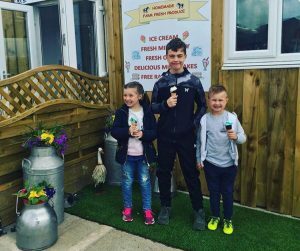 You can also visit the ice creamery any day from 10am until 5pm, without having to enter the farm. 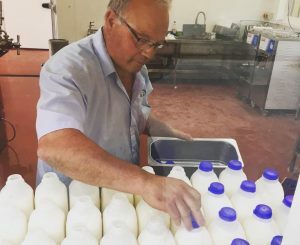 You cal also come and visit the cows being milked too! 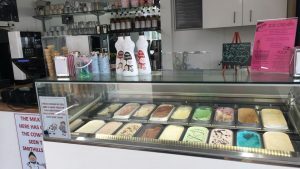 Now, due to the installation of a pasteurising plant and ice cream making machine, in our brand new dairy, we able to make and sell homemade products. 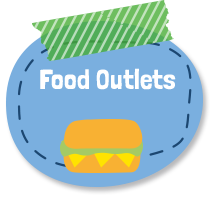 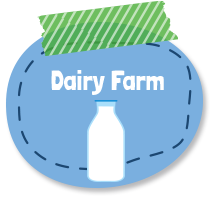 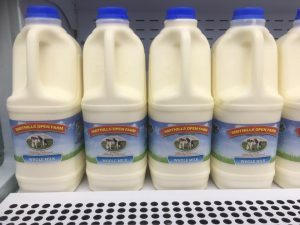 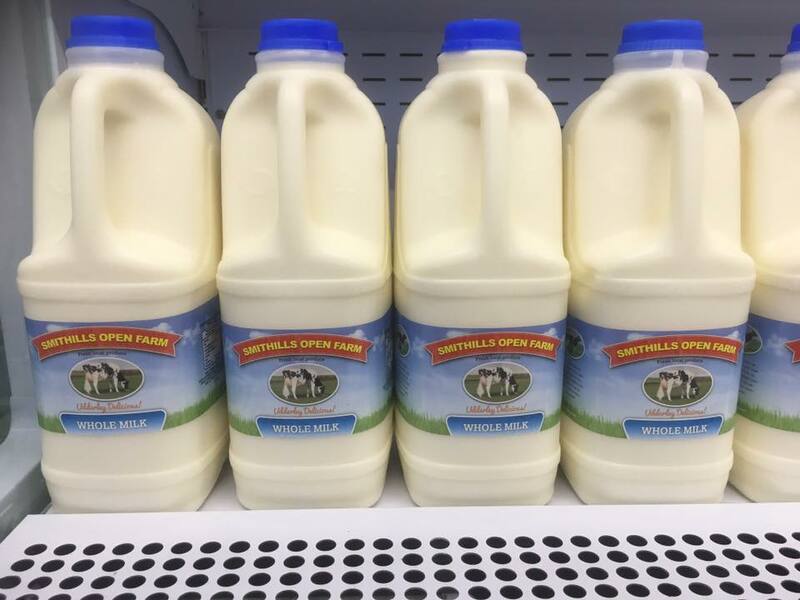 You can purchase fresh milk daily, ice cream in take away tubs, single ice creams, and milkshakes. 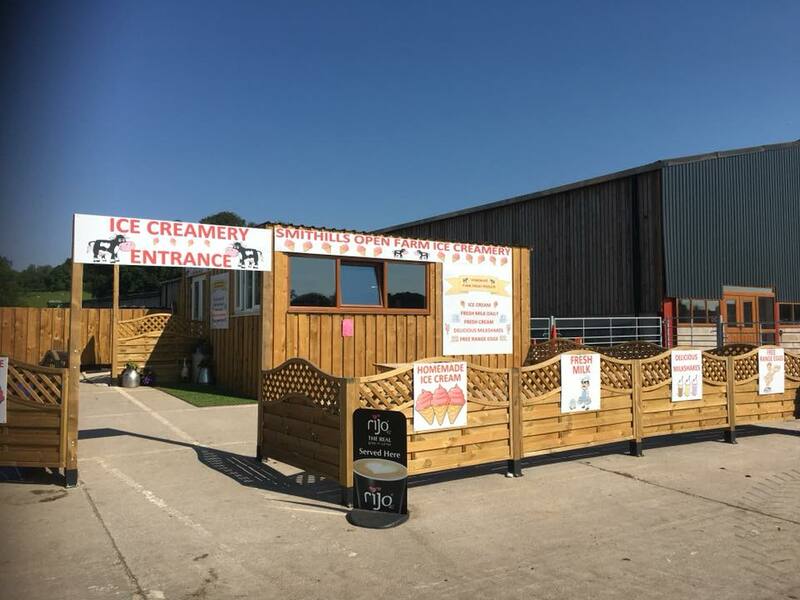 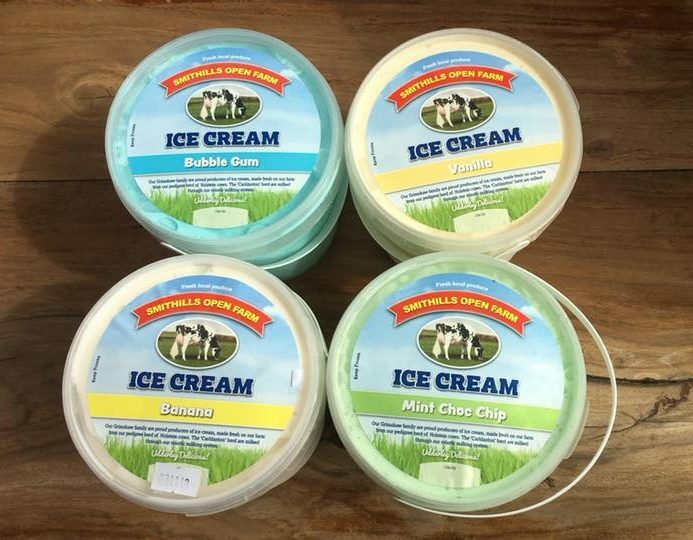 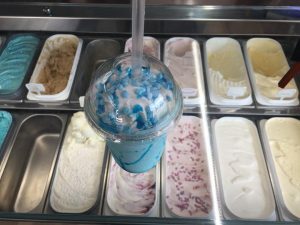 Whilst selling all the products in the farm, we have also built the Ice Creamery itself on our large car park, meaning you don’t have to visit the open farm if you just wish to come and buy some milk or have an ice cream. With picnic benches outside, why not enjoy a walk around the countryside and then a rest with a tasty milkshake or delicious ice cream. Dogs are also welcome on a lead to the Ice Creamery. 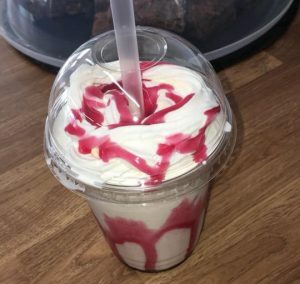 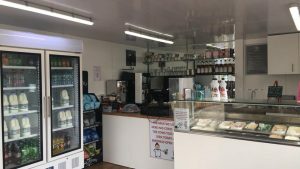 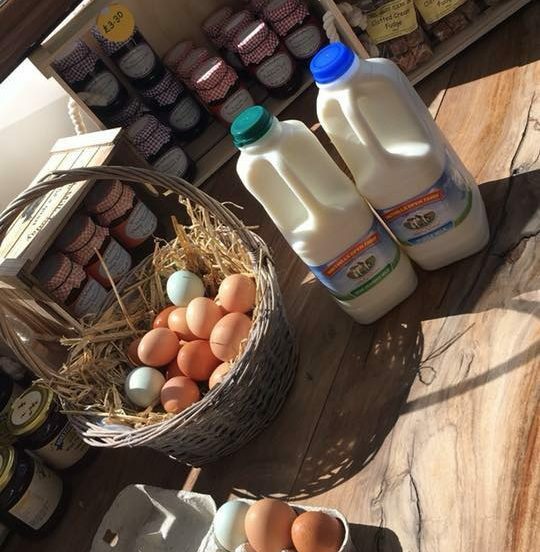 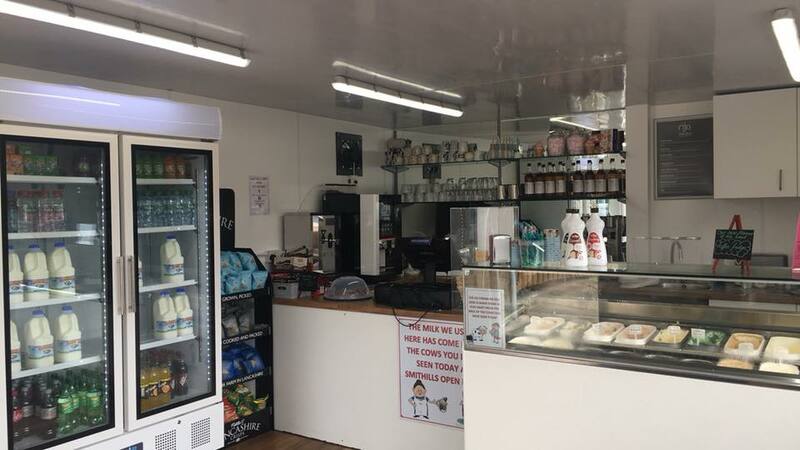 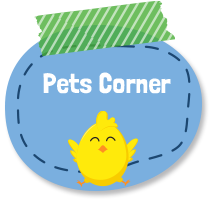 The Ice Creamery also offers our free range eggs from the chickens you will see at the farm, hot and cold drinks, cakes, confectionery and biscuits and jams from local businesses. 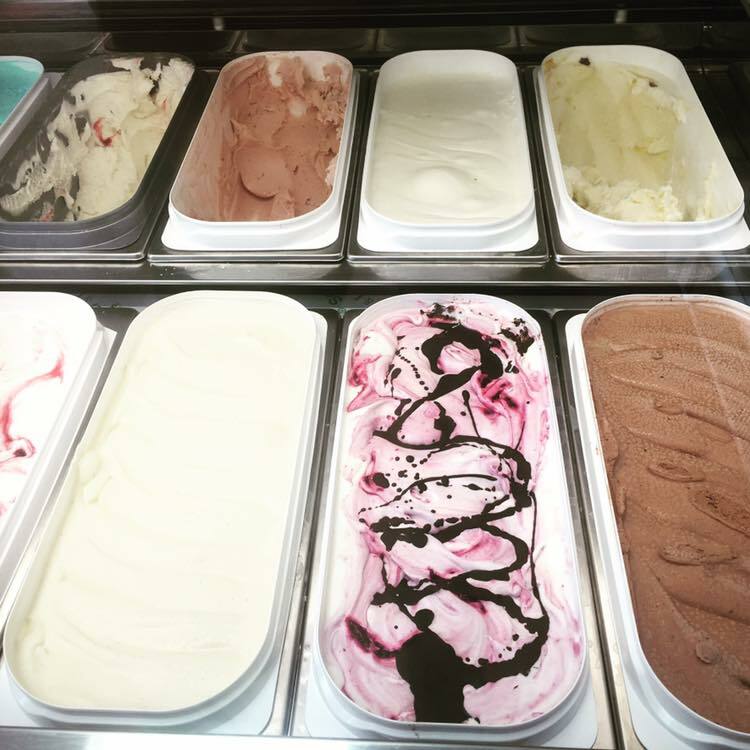 Vanilla, Raspberry Ripple, Strawberry, Chocolate, Mint Choc Chip, Bubblegum, Banana, Toffee Fudge, Honeycomb, Cherry Ripple even Lemon Curd! Choose any flavour ice cream and we will add some of our fresh milk to whip up a delicious creamy milkshake!